Cuddly is a mobile phone application which will enchant soft objects to enhance human's interaction with the objects. 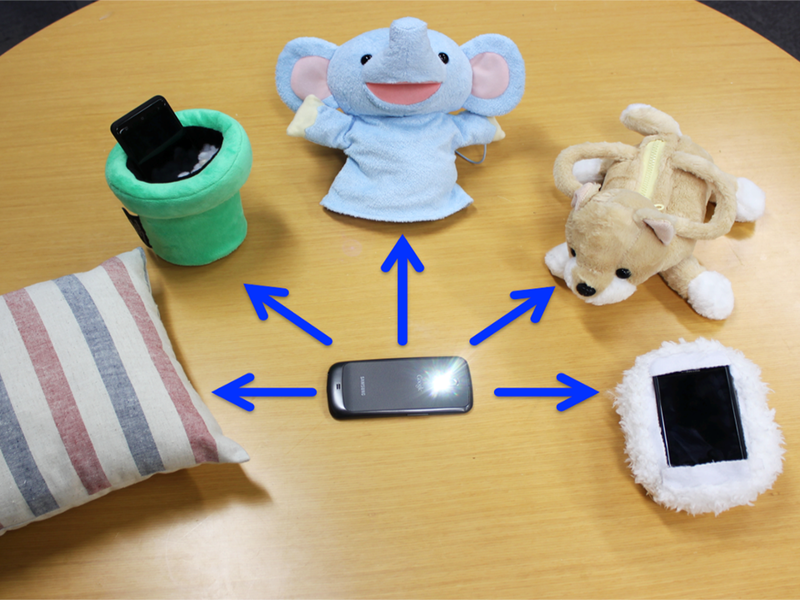 Cuddly utilizes the mobile phone's camera and flash light (LED) to detect the surrounding brightness value captured by the camera. When one integrate Cuddly with a soft object and compresses the object, the brightness level captured by the camera will decrease. Utilizing the measurement change in brightness values, we can implement diverse entertainment applications using the different functions a mobile phone is embedded with, such as animation, sounds, light etc.